Liam is the founding member of Rogue Adventure and all round AR tragic. 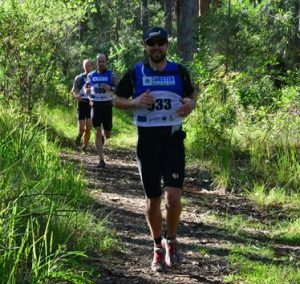 Race director for the Raid Adventures series, resident dot watcher for the ARWS, guest blogger for the Adventure1 series with ties to sleep deprivation research, Liam actually also finds time to do the occasional bit of racing. 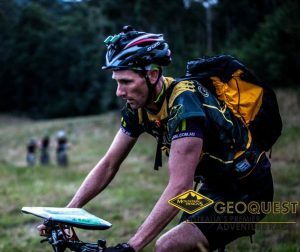 Chris is arguably the best 6’7” Adventure Racer in Australia. This makes finding a boat that fits a real challenge and nobody ever asks to borrow his bike! One bit of advice to the AR novice: Trust your compass. Favourite AR discipline: Ocean paddle, but that rarely happens! Proudest Sporting Moment: 1994 – U18 Ironman Champion at the North Australian Surf Life Saving Titles! Typical training week consists of: Ideally 10 hours a week of training, mostly bike and run with a paddle or two leading up to races. Plus a range of rogaines, sprint AR’s and multisport events. This little South African is like a diesel engine, the longer the race goes… the stronger she gets. 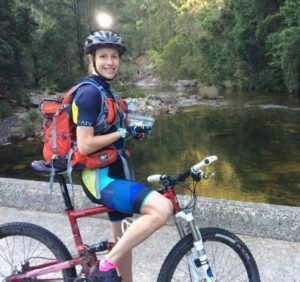 After a few years of triathlon, Mish (and her husband Chris) jumped across to multisport and AR events in 2006/07. For several years, Chris and Michelle raced together as team Husband and Wife, and they’re excited to be lining up with Team Rogue for 2018. Worst AR experience: Steep, rocky, wet, bike descent in 2007 Geo with no working brakes! Favourite AR discipline: Packrafting downriver, on a warm day! Occupation: Full time mother of 3, part time Occupational Therapist. After getting a taste for adventure racing and then a few years off having a family, Ali returned to the sport of adventure racing two years ago. She’s looking forward to the challenge of racing the 2018 A1 series with Team Rogue and what she lacks in experience she makes up for with enthusiasm. Favouite race food: mini mars bars never disappoint. Most essential bit of AR kit: good lights and maps (see below)!! Worst AR experience ever: two events quickly come to mind- 1) the realisation that the team did not have all the maps to get to the next transition at the wet 2011 GeoQuest and 2) the moment we discovered our boat was rapidly sinking at the wet 2017 GeoQuest. Typical training week consists of…. As a racing couple with young kids we alternate morning training sessions, some afternoon paddles and then try and fit any extra sessions in when we can (darkness is no excuse for adventure racers). AR Goals for 2018- for the team to complete (and hopefully do well) in all races of the A1 adventure racing series, but also to do more rogaines to practice navigation as there is nothing more satisfying than following a ridgeline or compass bearing to find an orange and white flag just where you expect it to be. Plus a range of rogaines, trail runs, multisport races and kayak races. Dan was born in the mountains with adventure always close at hand. The gnarlier it gets the more it suits him. An explorer at heart, maps optional. Dan’s journey in adventure racing started by signing up with his wife, Ali, for Geoquest in 2011. As it happened it was a tough race that was cancelled after 33hrs due to severe flooding with the team still plugging away at the very tail end of the field. 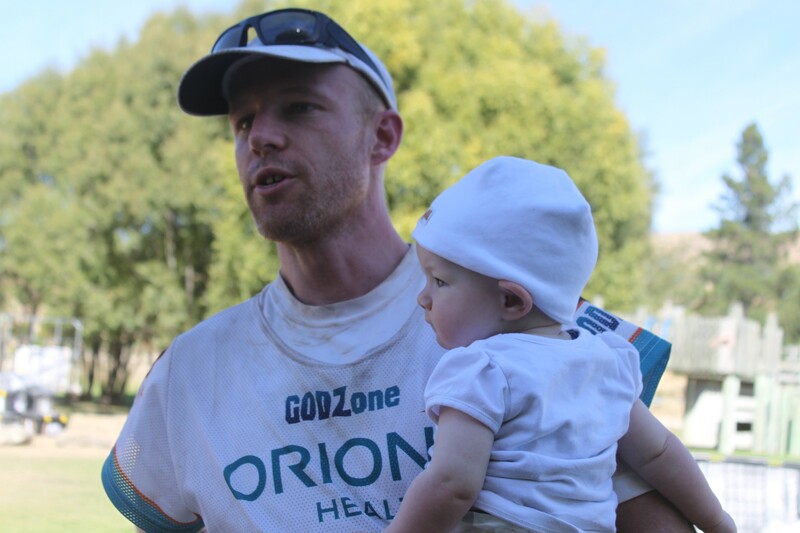 Even though they had a tough time of it; getting sea sick, forgetting maps, freezing and many other rookie errors, the stories from this race are ones still told today and Dan was hooked. Favourite race food: Probably Gatorade. You can drink it till it starts burning the skin off your tongue, then you know you’ve probably had a bit too much of the sweet stuff. Most essential bit of AR kit: Shoe and sock combo that fit and work for long hours on your feet. Still a work in progress. Worst AR experience ever: Getting sea sick in my first ocean paddle. Feeling that terrible in the first hour of a 48hr race is a little deflating. Luckily I came good once off the water. One bit of advice to the AR novice: It doesn’t matter how fast you are as long as you keep going in the right direction. In some ways it’s actually more fun at the back of the field. Strongest AR discipline: fairly evenly spread across the disciplines but paddling, as most AR races are ordinary paddlers. I love the gnarly stuff the rougher and more off trail it gets the better. 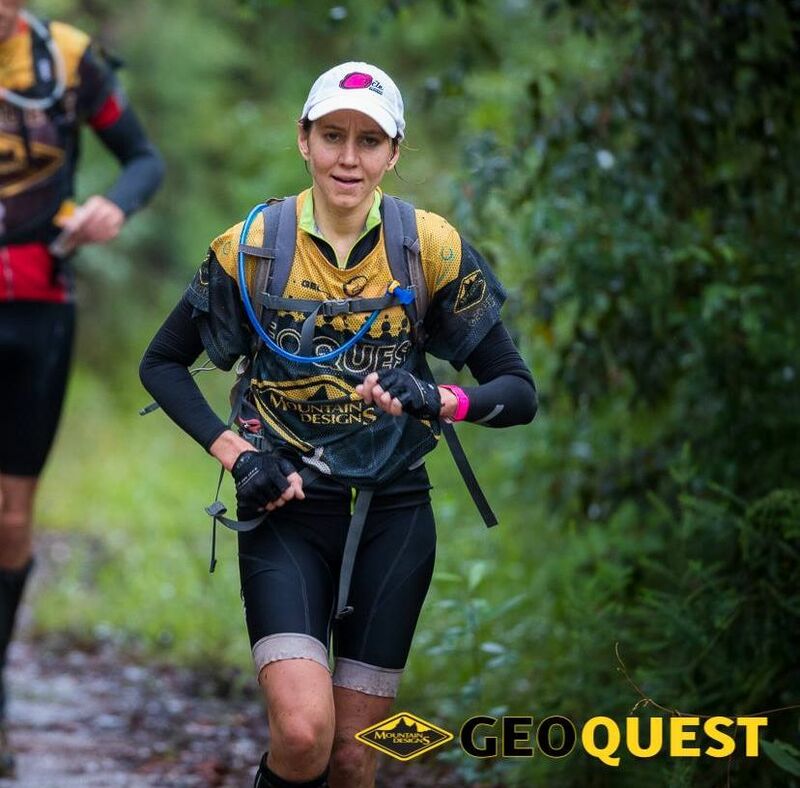 Proudest Sporting Moment… Come back Geoquest race in 2016 coming 3rd on the back of a night nav with no maps. Typical training week consists of…. A bit of everything but the highlight is usually my thursday afternoon ocean paddle. Waves, wildlife and a setting sun. Ali and I run a fortnight cycle training every second morning. No swaps, no rain checks, if you don’t go you miss out. The life of a racing couple. AR Goals for 2018 – 2018 is all about the A1 series and racing with team Rogue. This journey begins with X-Marathon in January. Plus a range of rogaines, sprint AR’s, multisport races, kayak races and MTB races.